Moisturizing aloe-based cleansing agents and herbal emollients are combined with micronized Jojoba shells to cleanse and exfoliate dead skin cells and impurities. Enhanced with Vitamin C and papaya-tangerine essence. Deal of the Month Special Price $6.50 (Regularly $12.00)! Our Cleanser and Toner are designed to work together to help maintain a proper, healthy pH balance while cleansing and toning your skin. Cleansing and toning are one of the least expensive yet most effective ways to help maintain healthy, vibrant skin. CLEANSING: Cleansing is perhaps the easiest most important element of maintaining healthy skin. It is the basis for a healthy skincare regime. Cleansing removes excess oil and impurities from your skin and helps improve its health and radiance. 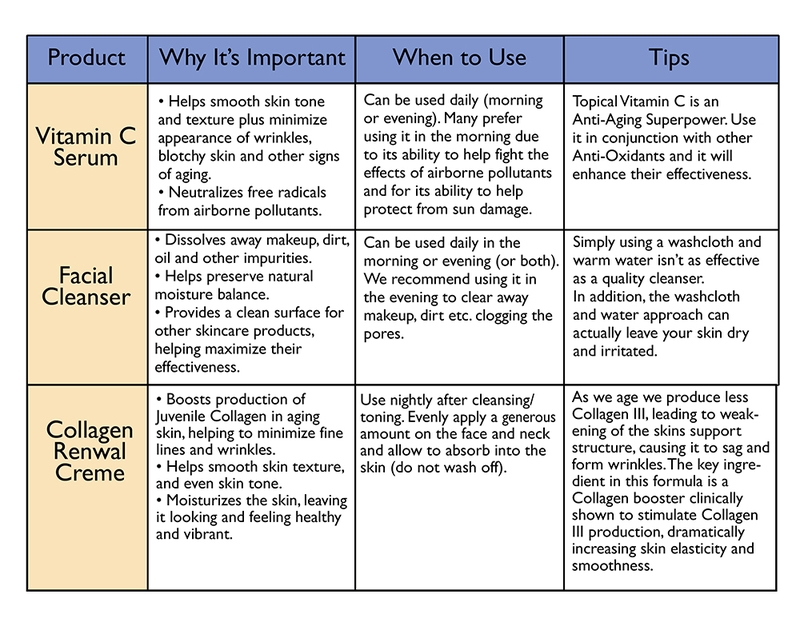 Cleansing also helps prepare your skin for the other steps in your skincare program. You should consider using a professional facial cleansing product. Most of these products are designed to be gentle on your face’s delicate skin yet powerful enough to remove debris and impurities effectively. On the other hand, many all purpose soaps will end up being too harsh for your face, leaving the skin dry or irritated. TONING: Toning is an important second step that completes the cleansing process yet many people choose to leave this step out. In reality, toning should be considered part of the cleansing process. A good toner will remove any remaining bits of oil, dirt and debris left behind by the cleanser. More importantly, toner will help soothe, nourish and hydrate the skin while restoring its delicate pH balance. Cleansing and toning should be done twice daily for optimum results however once a day is better than not at all. Cleansers and toners are relatively inexpensive and the cleansing/toning process takes only a few minutes. It makes sense to clean your skin daily just like you do your teeth and your hair. 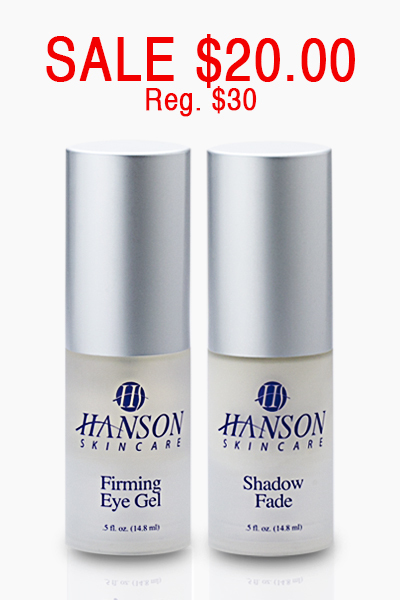 Hanson Skincare has created a cleanser/toner package that gives you both products at one low price. You can try these products risk free with our money back guarantee. Special Price $17.00 (Regularly $24.00)! This package covers what we consider to be the 4 basics of a healthy skincare routine … exfoliation, cleansing, moisturizing & protecting the skin. We cover these four basics with just three products, because our Daily Moisturizer also includes Broad Spectrum SPF30 UV protection. Purchased separately at regular price, these products would total $49.00. For a limited time, we are offering them packaged as a kit for just $34.95. Featuring the hydrating gel of the aloe plant combined with moisturizing vegetable-based cleansing agents and botanical emollients. This refreshing cleansing formula will dissolve away makeup, dirt and other impurities, leaving your skin feeling clean and comfortable. Helps preserve the natural moisture balance, leaving skin soft and supple. * Removes excess makeup, dirt, oil and other impurities. * Leaves skin feeling and looking refreshed and clean. * Perfect for all skin types … even the most sensitive skin. Put simply, exfoliation is the process of removing the outer layer of dead cells that cling to our skin. When dead skin cells build up without being removed, they can make skin appear tired, old and less vibrant. Exfoliation ensures that newer, fresher skin is always shining through, while also enhancing the skins ability to absorb other skincare products. * Gently and effectively cleanses and exfoliates pores, leaving a noticeably fresher, brighter complexion. * Leaves the skin feeling fresher, softer, smoother and cleaner. * Enhanced with a pleasant Papaya-Tangerine essence. An ultra-light, fast-absorbing moisturizer that provides powerful Broad Spectrum UV Protection and Anti-Aging benefits. Designed primarily to hydrate and protect the skin, this pleasant smelling daily use formula also features a unique and powerful blend of antioxidant ingredients that work together to help minimize the signs of aging. Package Deal! $34.95 (Regularly $49.00)! Firming Eye Gel (0.5 oz.) … Specially formulated to help revive tired, puffy looking skin around the eyes. Contains energizing plant extracts as well as Vitamin C, which help reduce the appearance of puffiness and lessen the signs of aging by toning, moisturizing and smoothing the skin. This clear, cool gel goes on easily and leaves the skin with a smooth, radiant appearance. Shadowfade (0.5 oz.) … Dark under-eye shadows (sub orbital hyperpigmentation) are the result of enlarged or swollen blood vessels beneath the thin under-eye skin. Lack of sleep, poor nutrition and exposure to damaging environmental conditions all contribute to this frustrating condition. While taking care of ourselves, drinking enough water, getting plenty of sleep, etc. can help lessen this condition, additional help is often needed. Shadowfade is designed to do just that.This revolutionary blend of vitamins, minerals and botanical extracts are combined with light dispersing micro-crystals to reduce shadows under the eyes. Includes Brazilian Guarana Extract which contains a high level of caffeine which immediately helps reduce the appearance of dark circles. Sold separately, these popular products would total $30.00, but for a limited time we are offering them as a package for $20.00!! For a limited time $20.00 (Regularly $30.00)! 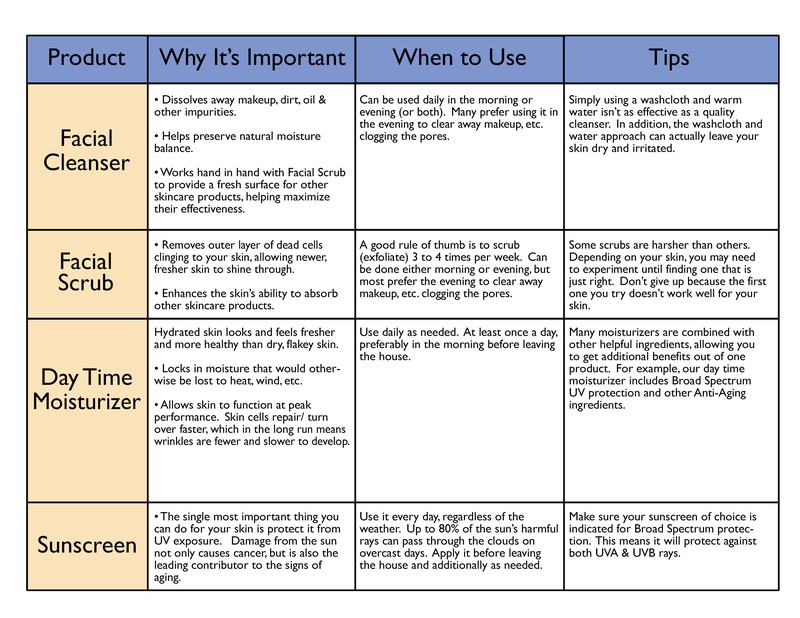 We recently surveyed our entire staff, asking them to identify their 3 favorite Hanson Skincare products. Most of our employees use all of our products and it was difficult for them to pick only 3 to say the least. That said, the top 3 vote getters are listed below. Purchased separately at list price, these three products would cost a combined total of $93.00. For a limited time, we are offering them together as a set for $60.00! Every day your skin is exposed to sun, pollution, smoke and other damaging environmental elements. Give your skin the nourishment it needs to stay healthy and youthful with our Vitamin C Serum. * Helps smooth skin texture and minimize the appearance of wrinkles and blotchy skin. * Neutralizes free radicals from airborne pollutants. * Helps even skin tone and texture. This is an incredibly smooth, pleasant smelling formula that includes a rich blend of stabilized vitamins C, E and K blended with bioflavinoids. If we polled our regular customers as to which of our products is their favorite, it is very likely our Vitamin C Serum would come out on top. Say good bye to wrinkles! Children don’t have wrinkles because their skin is made up of Juvenile Collagen III plus Elastin. Adults have almost no Juvenile Collagen and depleted Elastin due to aging. Our new Collagen Boosting Liposome helps increase Juvenile Collagen and Elastin by up to 45%.A concentrated, super-rich creme with patened Collagen Amplifying-CALIII which helps reduce fine lines and wrinkles, improves elasticity, and leaves the skin soft and smooth. Treat your face to a refreshing cleansing formula that will leave your skin feeling both clean and comfortable. The hydrating gel of the aloe plant, combined with moisturizing vegetable-based cleansing agents and botanical emollients, dissolve away makeup and dirt. Helps preserve the natural moisture balance, leaving your skin both soft and supple. * Safe for use on all skin types. * Helps give the skin a clean healthy appearance. * Helps remove excess surface impurities. * Formulated to rinse easily. * Gentle on skin yet powerful enough to dissolve away dirt, makeup, oil and other debris. For a limited time $60.00 (Regularly $93.00)! The Works, or the Full Monty as we like to call it, features one each of our 9 professional quality skincare products in full size. Our products are designed to work together, each product enhancing the others effectiveness. Used together these products create a skincare routine that promotes healthier, fresher, younger looking skin. Purchased individually, the total cost for these products would total $200.00. For a limited time, we are offering the complete set for just $125.00. For a limited time $125.00 (Regularly $200.00)! This invigorating yet gentle toner is enhanced with natural plant extracts, hydrating Aloe and Glycerin to give skin a pH balanced, smooth finish.Use of this product completes the daily cleansing process by removing traces of dirt, oil and other debris from the skin’s surface. It also helps soothe, nourish and hydrate the skin while restoring it’s delicate pH balance. Every day our skin is exposed to sun, pollution, smoke and many other damaging environmental factors. This exposure takes its toll and unchecked, can cause our skin to show signs of aging more dramatically and more quickly than we would like. Give your skin the nourishment it needs to fight back and remain healthy and youthful with Vitamin C Serum from Hanson Skincare. This is one of, if not the most popular product in our entire line. Hydrate your skin and fight back against those pesky fine lines and wrinkles at the same time with this powerful Collagen boosting anti aging moisturizer.Normal moisturizers simply hydrate the skin.This is a very good thing, but not good enough, especially for those of us over 40 years of age. Unfortunately, as we grow older there is a considerable reduction to our body’s natural production of Collagen III, leading to a weakening of the vital support structure that lies beneath the surface of our skin. This in turn allows it to sag and form those dreaded lines, wrinkles and creases we all associate with getting older. The key ingredient featured in this formula is a revolutionary Collagen boosting Liposome known as ASCIII that has been clinically shown to stimulate Collagen III production, dramatically increasing skin elasticity & smoothness. A fun and soothing way to pamper your skin with a rich blend of Vitamin C and Bioflavinoids that both exfoliates and rejuvenates all in one step. Within a few minutes of applying this Citrus infused mask, a thin film is formed. When you peel it away, you are left with smoother, fresher, healthier skin. For a limited time $110.00 (Regularly $145.00)!